Riah Spickett graduated from the Network75 scheme in 2015. Whilst studying the BSc (Hons) Mechanical Engineering degree at the University of South Wales, Riah was placed with GE Aviation Wales in South Wales. An initiative at the University of South Wales which allows students to combine work with study is helping to improve students’ future employability. Network75 gives undergraduates the opportunity to apply their academic knowledge to real-life work within a host company. During term time, students work in a local business three days per week and attend university two days per week. They also work full-time at their host company throughout holiday periods. Network75 trainees graduate with both academic and practical training, making them industry-ready and well prepared for the workplace. To date, all students who have graduated from the initiative have been offered jobs by their companies and often accept senior positions upon graduation, giving it a 100% employability record. The initiative is particularly attractive to students from disadvantaged background who may otherwise be less keen on going to university. 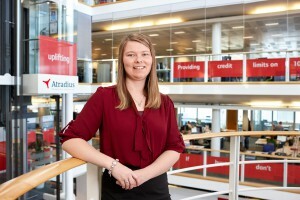 Sarah Liddell is a third year USW student studying the BA (Hons) Accounting and Finance degree. Sarah’s host company is Atradius in Cardiff. Network75 students receive a minimum tax-free bursary of £5,000 per annum, which increases by £500 each academic year. Approximately 55% of current students on the scheme receive additional payments from their host companies. They also get a holiday allowance and time off for revision, and have their course tuition fees paid in full, which means they can choose to graduate without any student debt at all. 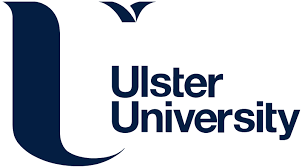 The initiative is available in many subject areas including accountancy, aeronautical engineering, business, civil engineering, computing and information technology, electrical and electronic engineering, law, mathematics, mechanical engineering, pharmaceutical science, project management and quantity surveying. Network75 students can improve the competitiveness, growth and development of local businesses by facilitating exchanges of information and fresh knowledge between industry and higher education. The initiative is available to any company regardless of size, from a sole trader to a large multi-national company – providing them with high quality, highly motivated students who are able to learn and grow. All companies taking part must prove that they are innovative and able to offer a high quality placement to students, to ensure they receive a top-quality position that will give the best training and experience. Network75 has become the preferred training scheme for some employees with many having more than one student from different academic areas at differing stages of the course. There are currently 42 companies taking part, varying in size and industry, throughout South and West Wales. These include GE Aviation, NHS Wales, Principality, Atradius, Atkins & Nuaire, Capita, Monmouthshire Building Society, SPTS, JW & E Morris & Barrett Homes. 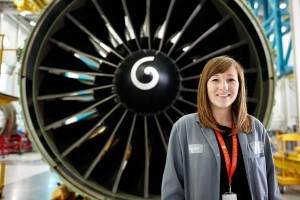 USW has also built a key partnership with GE Aviation which currently has 12 Network75 students placed in a number of degree disciplines including aeronautical & mechanical engineering, human resources, and purchasing & business management.